“To be caught up in the world of thought – that is to be educated” (Mary Webb, 1924). The Little Free Library was born in 2009, when a Wisconsin man built a small replica of a schoolhouse, in memory of his mother who was a teacher who loved to read, and he installed it on a post outside his house. Todd Bol was inspired to create his little free library by the philanthrophy of Andrew Carnegie, who financed the building of over 2,500 libraries in the 19th century. In a few short years, Bol’s idea of Little Free Libraries has caught the public’s fancy, and little free libraries are appearing in coffee shops, residential neighborhoods, churches, train stations and bus stops in rural and city communities throughout America. By February 2015, Little Free Libraries had grown to over 25,000 in many countries throughout the world, including Sri Lanka and India. Todd Bol’s inspiration to create his little free library is yet another contribution paid forward for the benefit of individuals and communities worldwide…promoting literacy and learning…and possibilities for living. The memory of being read to, is a comfort I carried with me to adulthood. One of the greatest gifts my Mother gave me and my sister and brothers was a love of books. Our adventures with books began early. She weaned her babies from the breast by reading to them, and she took her children to get their library cards when they could walk. Research suggests children who read perform better in school. And a child who has difficulty reading has significant handicaps in life. “There is no substitute for books in the life of a child” (Mary Ellen Chase, Recipe for a Magic Childhood, 1952). Books introduce us to far away places, occupations we might never have understood, cultures and new knowledge that enrich our lives. 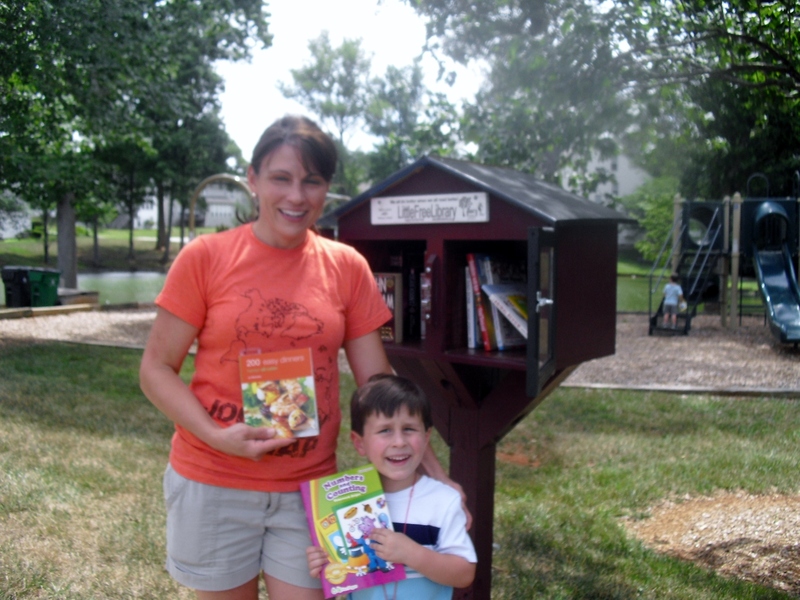 Consult the international web site http://littlefreelibrary.org for information on building a Little Free Library. Install library for maximum accessibility by members of the community. 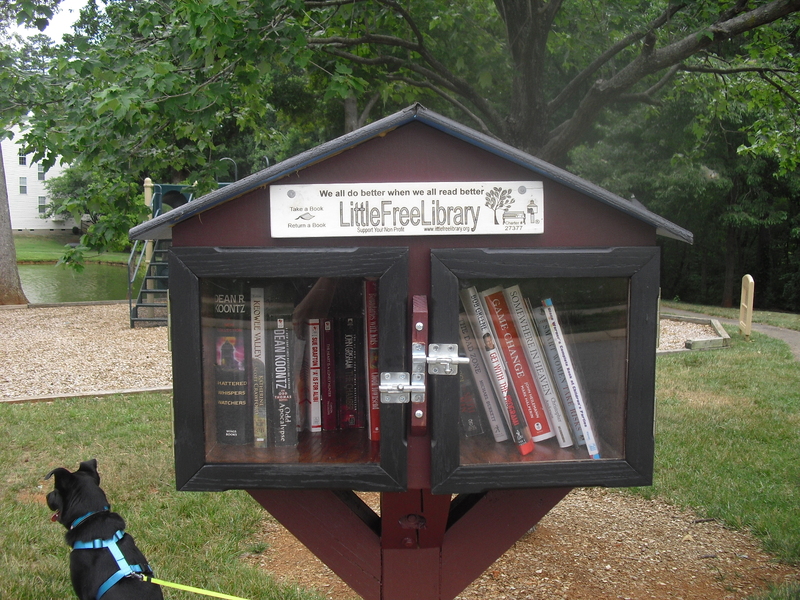 Our neighborhood installed our LIffle Free Library on a post at the community pond and park near street access and the walking trail. In some communities, the availability of the Little Free Library has spawned books clubs, reading tutors for children, writing groups, and relationships with regional public libraries. Little Free Libraries hosting books… free and accessible…passing it on…. sharing neighbor to neighbor…community to community. Previous PostSounds of Long Ago Summer EveningsNext PostRaising Seafood in the Midwest! What?